Why rob a bank when you can dupe someone into doing it for you? Lately, crooks have been fooling businesspeople into forking over their corporate funds this way. “CEO fraud” or “business email compromise,” as the scam is known, has become a popular trick: Send an email (from a hacked employee account or spoofed domain) pretending to be an executive, and con the recipient (preferably an unquestioning subordinate) into transferring some amount of money. In the U.S. alone over the past two years, as much as $750 million has been lost to wire fraudsters, reports the Federal Bureau of Investigation. The VP of finance, whose inbox had been targeted, looped in other people at the company for approval. When the request made its way to the real Kemp and Steinkopf, it became obvious that something fishy (well, phishy) was going on. 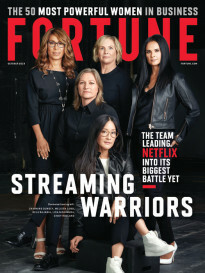 “After squinting our eyes a few times, we immediately deduced that the email was sent from a look-alike domain called ‘centrilfy.com’ which looks a lot like ‘centrify.com,'” Kemp writes. So they called the FBI. Meanwhile, the imposter became impatient. “Whats happening with the wire? I need to know,” a follow-up email read. “That was the first of many attempts to scam us,” Kemp writes before detailing a handful of other examples, all drawn from personal experience this year. Common phrases in the fraudulent emails include “urgent payment,” “needs to go out today,” “need you to take care of,” “process,” “now.” The requests are typically short, informal, and pressing. Kemp’s tips for avoiding wire traps? He’s got a few: Get approvals, cross check with accounting, use multi-factor authentication (a service his company offers, of course, as do rivals such as Duo, Okta, RSA, and Authy), and take domain names similar to the one used by your organization off the market by snatching them up. 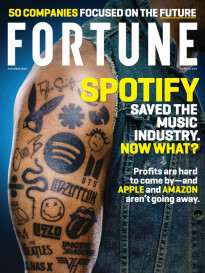 For example: the marketing or IT teams at Fortune.com might choose to buy “F0rtune.com,” where the “o” has been replaced by a zero. By the way, dear reader: Your CFO asked me to tell you to wire money to my personal bank account. No rush, though—whenever you get a chance. For more on email cybersecurity, watch this video.